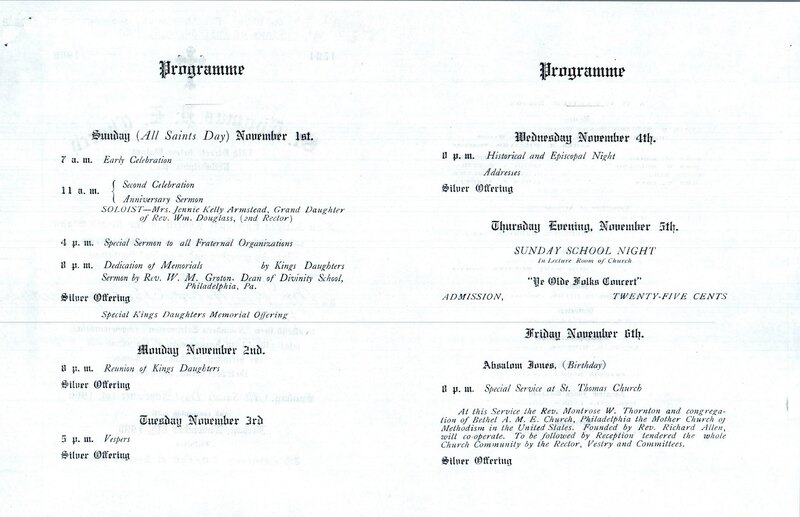 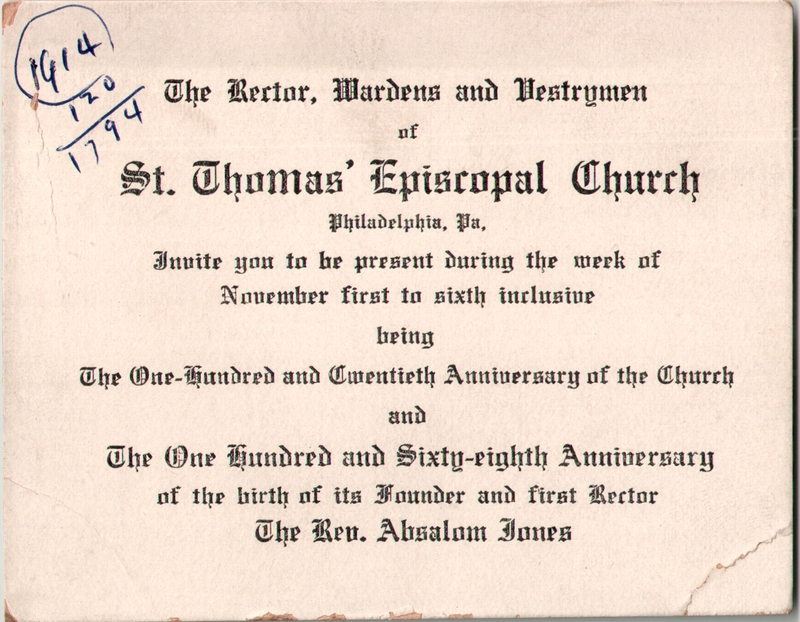 This entry was posted in African Episcopal Church of St. Thomas and tagged Absalom Jones, African-Americans, Center City on December 7, 2017 by mjk38. 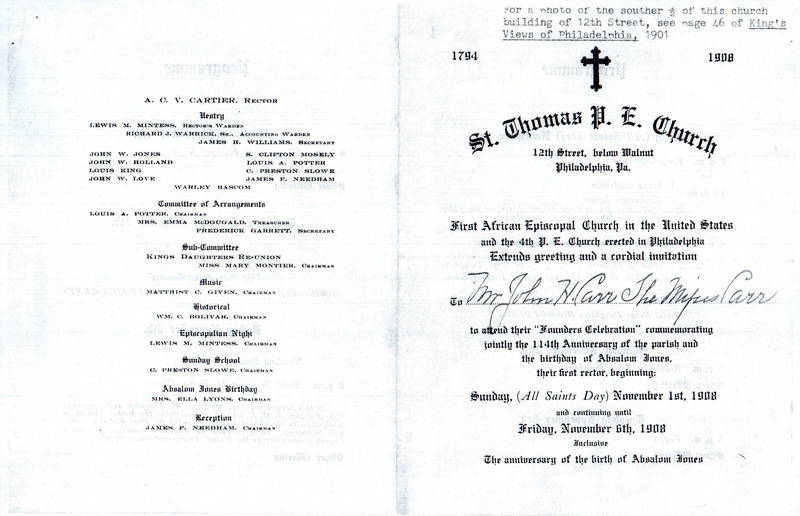 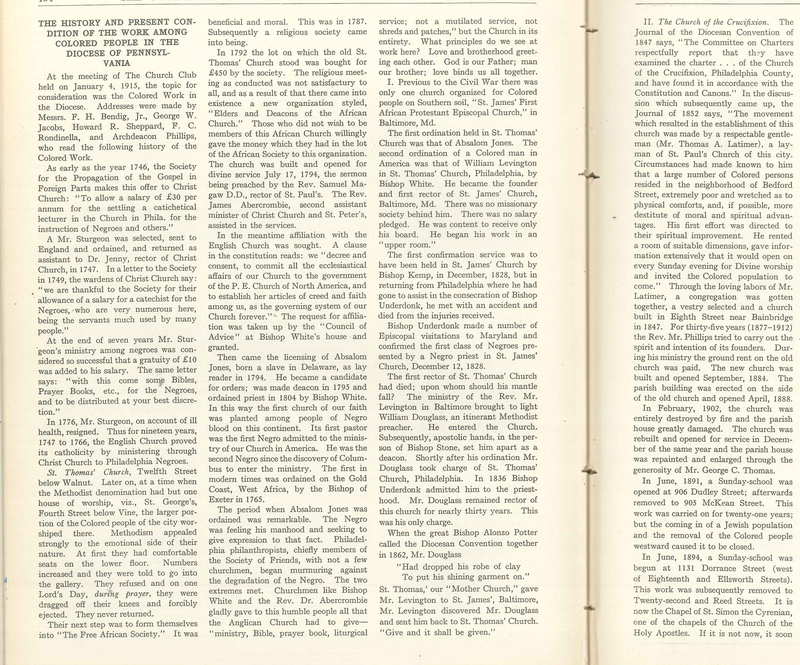 This entry was posted in African Episcopal Church of St. Thomas and tagged Absalom Jones, African-Americans, Archives of the Diocese of Pennsylvania, Center City on August 31, 2016 by mjk38. 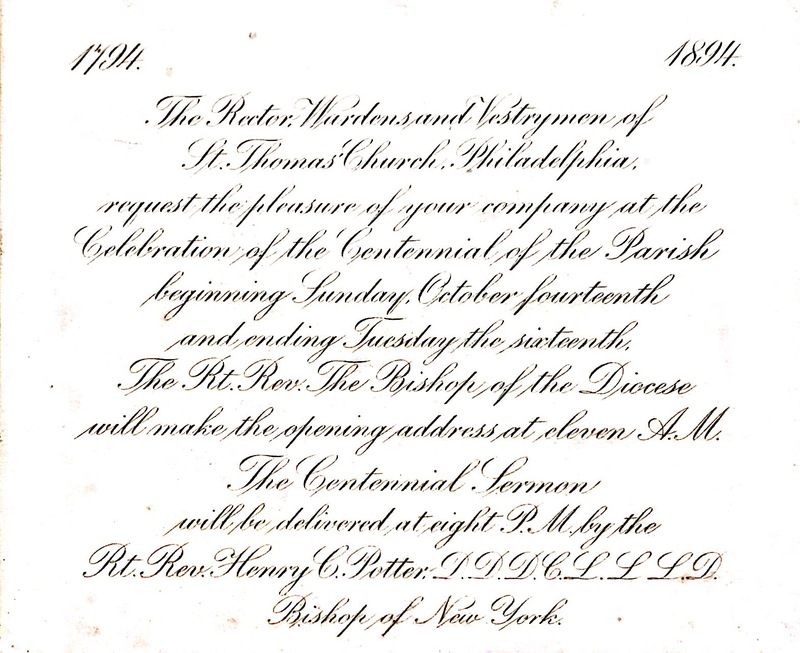 This entry was posted in African Episcopal Church of St. Thomas and tagged Absalom Jones, African-Americans, Alexander C. Victor Cartier, Center City, William M. Groton on March 20, 2015 by mjk38.